Though performing with a backing band, Mount Eerie is at its crux the creative outlet of Phil Elvrum. Formerly operating as The Microphones, he ditched this moniker for the current one in 2004, even if he still occasionally dabbles under the previous name. Infusing the wholly characterless Ruby Lounge with any semblance of ambience and mood is no easy feat. Apt enough support comes from the gruff synths of Irma Vep and the tribal thrust of Denis Jones. No Kids are altogether pleasant yet veer towards being perhaps a little cutesy than really is appropriate for a Mount Eerie support. Seeing as members of No Kids largely form the backing band, I guess there was little that could be done about that. 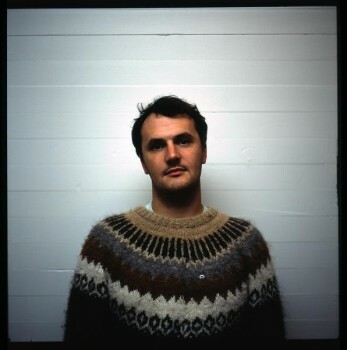 The set takes a ceremonious fashion, with such a unique and immersive sound, Mount Eerie dispatch atmosphere with immediacy and considerable ease. Transient melodies awash with distortion build to dizzying zenyths, whilst Elvrum’s softly spoken vocals require rapt attention. There is something very deliberate and measured about their walls of sound. Blocks of distortion are gently ushered in, so gradual in their build you barely notice the deafening volumes eventually affected. Subtlety and nuance are never lost to the sonority of the music, and the intensity never approaches overwhelming. Riffs swell with organic precision and each crescendo is timed to perfection. Mount Eeerie strike a precarious medium, managing to sound at once heavy and violent whilst retaining a finely pointed delicacy and grace. Songs lull and wander before tightening up and pulling back. The percussion provided by two separate drummers ranges from an all out thrashing thump to understated patterings akin to rainfall. And there is of course, that strangely captivating pull of watching two drummers entirely in tune with each other. Heavily in favour of his most recent record, ‘Wind’s Poem’, Elvrum’s “Black Metal” album and arguably the most robust and fully formed of his outings, the set is very fitting of the tone and atmosphere of this record. From the Twin Peaks homage of ‘Between Two Mysteries’ to his recent propensity to wear his influences of his sleeve – Elvrum appears more comfortable with himself as the architect of Mount Eerie’s sound, steering away from former abstract meanderings in favour of an altogether more direct and personal expression. The Microphones’ staple, ‘The Moon’ is a welcome throwback for the encore, punctuating an otherwise gripping and squinty-eyed performance on a lighter and frankly, more fun note. “I went out last night to forget”, Elvrum murmurs. After such a complete and engrossing a set, the sentiment couldn’t be more apt.